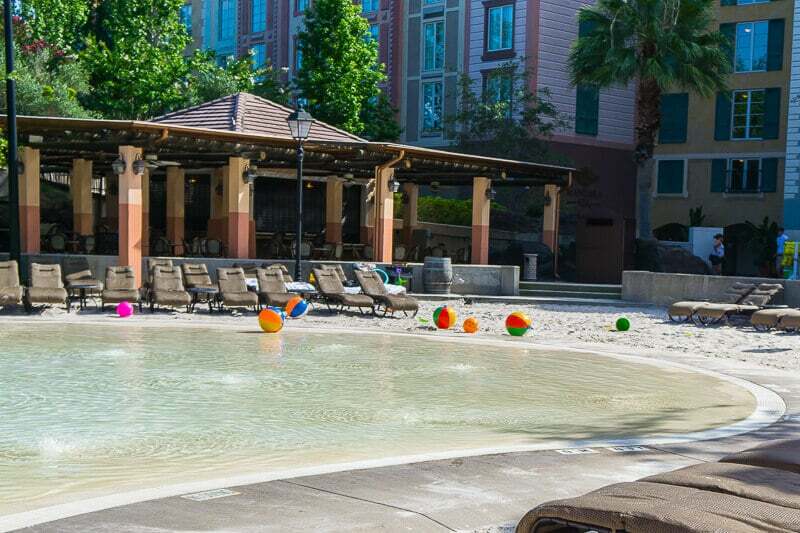 If you’re looking for the best Universal Orlando Hotels, look no further than Loews Portofino Bay Hotel at Universal Orlando. 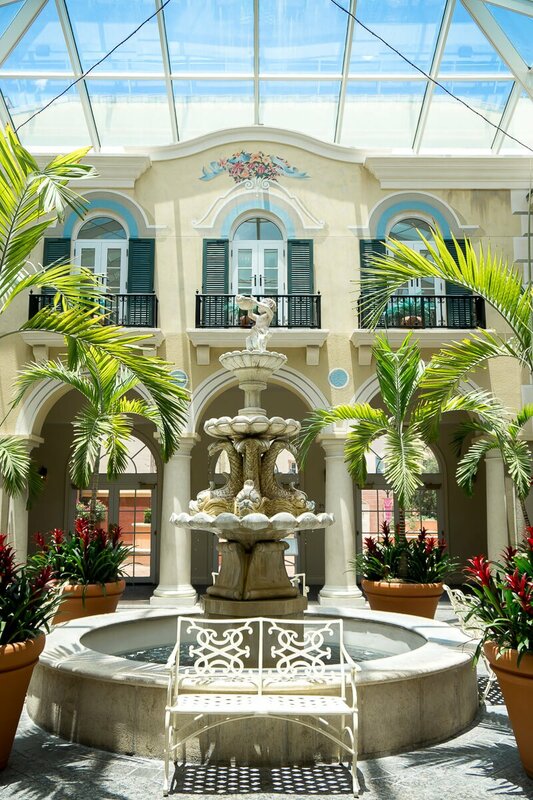 Out of all of the Universal Studios Orlando Hotels, the Portofino Bay Hotel is above and beyond all of the others. 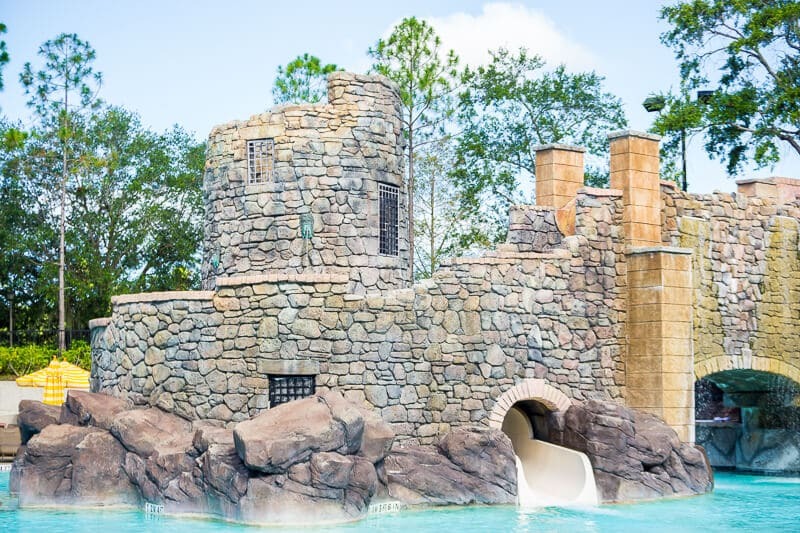 With free unlimited express passes for all guests, large rooms and bathrooms, and quick transportation to the parks, Portofino Bay is the perfect place for families or adults visiting Universal Studios Orlando. My family and I recently returned from a trip to Universal Studios Resort in Orlando, two trips actually. 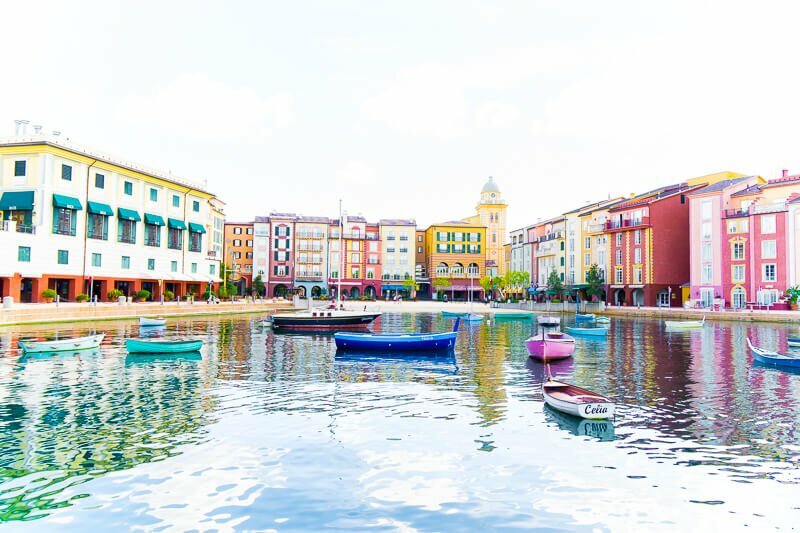 During the first trip, we stayed at Loews Portofino Bay Hotel and spent the weekend exploring all of the great things to do with young kids at Universal Studios Orlando. 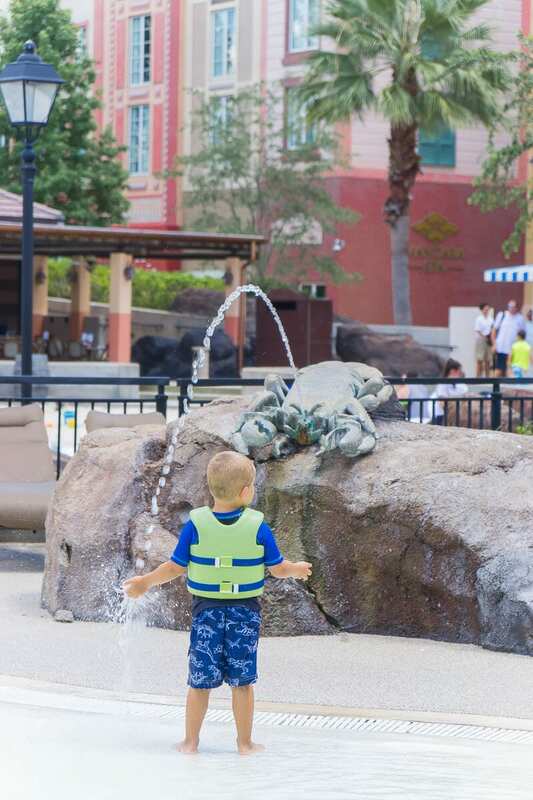 And on the second trip, we stayed at Loews Sapphire Falls, skipped the kid stuff, and did all of the thrills we could find. 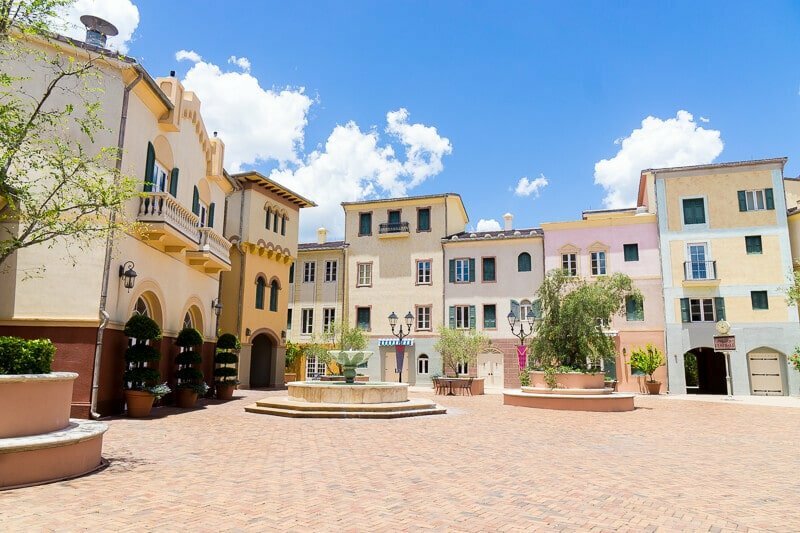 Both trips were amazing but if I had to choose one hotel to return to, I’d choose the luxury Loews Portofino Bay Hotel hands down, every single time. Here’s why. At quick glance, these are the things that send Loews Portofino Bay Hotel to the top of the Universal Orlando Hotels list for me! Continue reading for detailed explanations on each of these items. Our Portofino Bay hotel room was really big, especially for a non-suite hotel room. Our room had two queen size beds with space in between the two, a large desk area, and plenty of space for storage and walking around. Not so much in Sapphire Falls where five of us in a room (with a rollaway bed) were having to jump and skip over each other to move around. 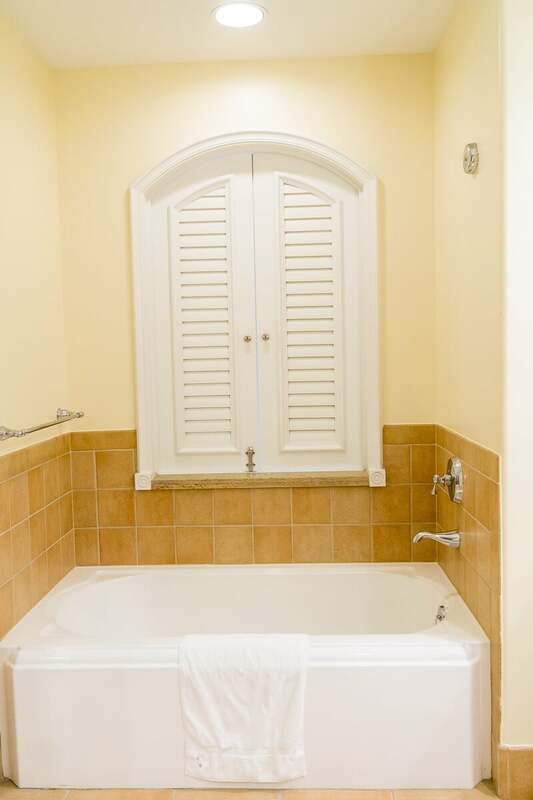 In addition to the bedroom being large, the bathroom at Portofino Bay was large as well. It had a good sized shower, a large soaker tub, two sinks, and a good amount of space for moving around in the bathroom. It was definitely a deluxe bathroom and the space in the bathroom alone made our time in the room itself more enjoyable. 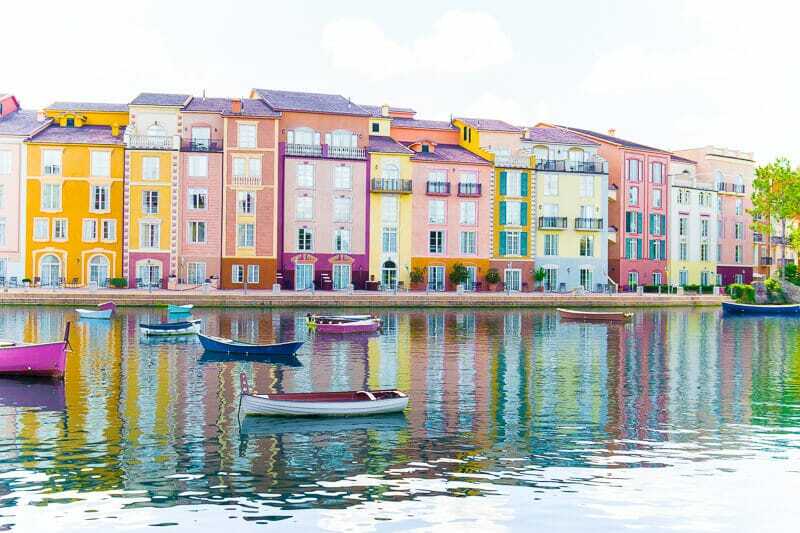 If you’re going to be spending much time in your room, I definitely recommend going with the larger Portofino Bay Hotel. 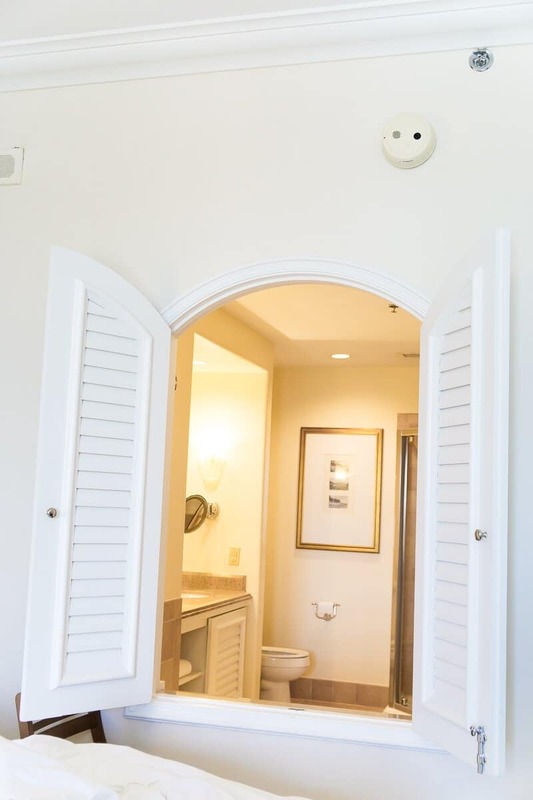 If you’re traveling with a family or group of four or more and need a larger room, definitely check out the suites available at Loews Portofino Bay Hotel. 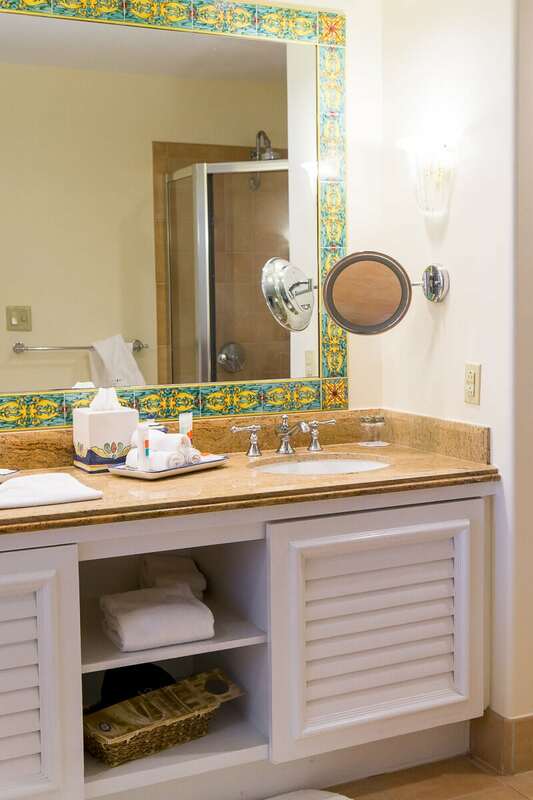 Many of the suites offer private bedrooms, large amounts of space, and room for five or more people. And don’t forget the fun Despicable Me Kids’ Suites. Just like the other suites, they offer a private bedroom with a king-size bed for the adults and a private bedroom with two either twin or bunk beds all decked out in Minions style. 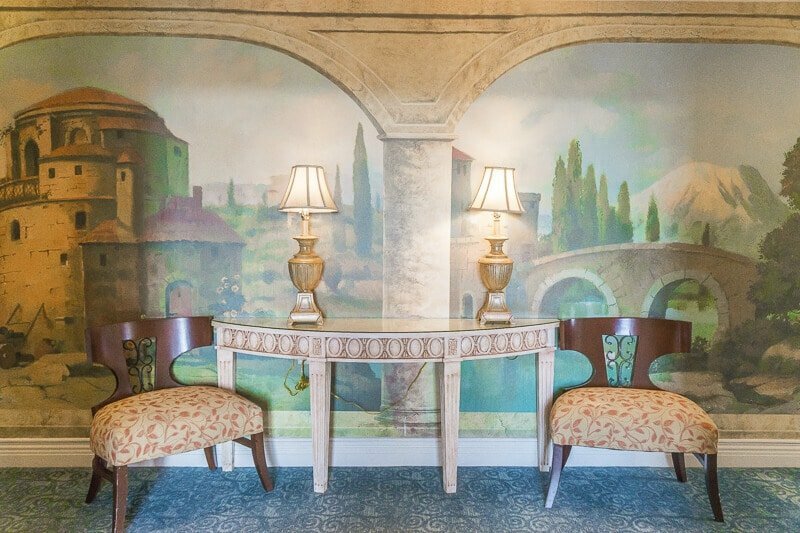 This one might be a little bias because I love Italy, but I loved the colorful Italian theming throughout the hotel. The area by the water taxi marina was my favorite with all of the colored shops and buildings, but the rest of the hotel was beautiful as well. Everywhere you looked you could find a small detail that added up to a beautifully themed resort. 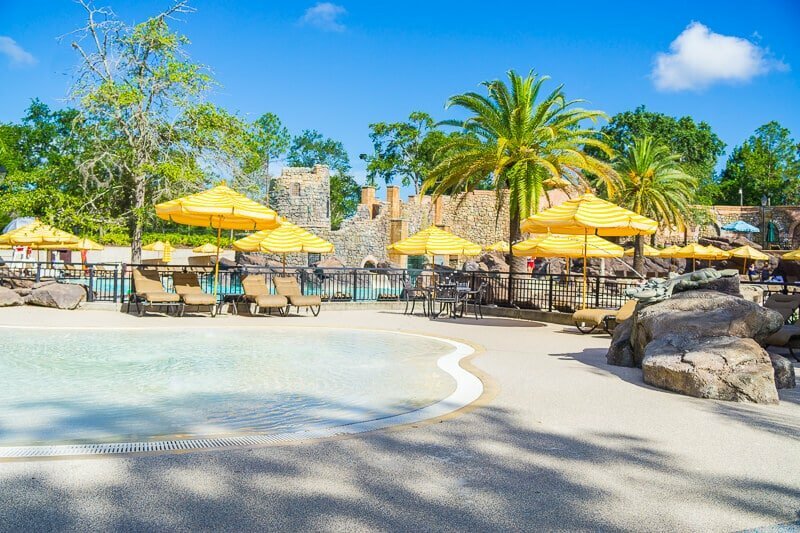 Not only is there one fantastic pool at Portofino Bay Hotel, there are actually three, which means there is always a pool nearby. Our favorite of the three pools was the Beach Pool closest to the marina. 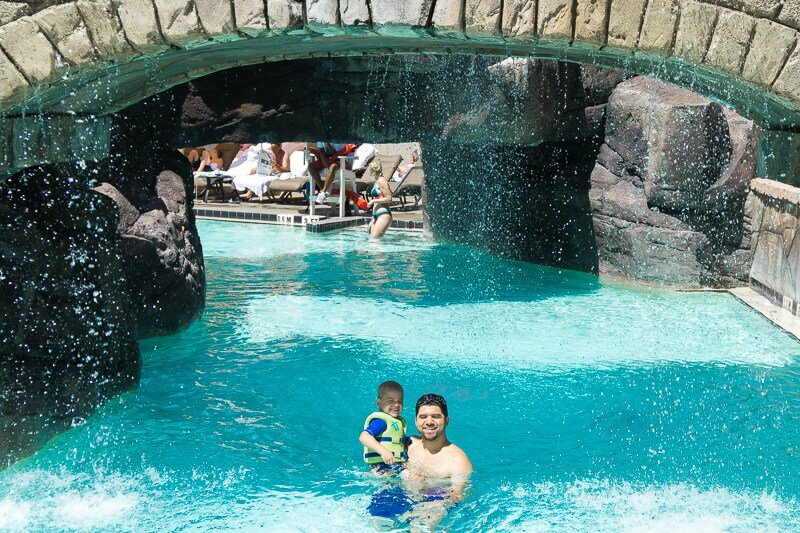 We spent hours swimming around, sliding down the Roman aquaduct water slide, playing with the provided beach balls, and hopping in and out of the hot tubs. 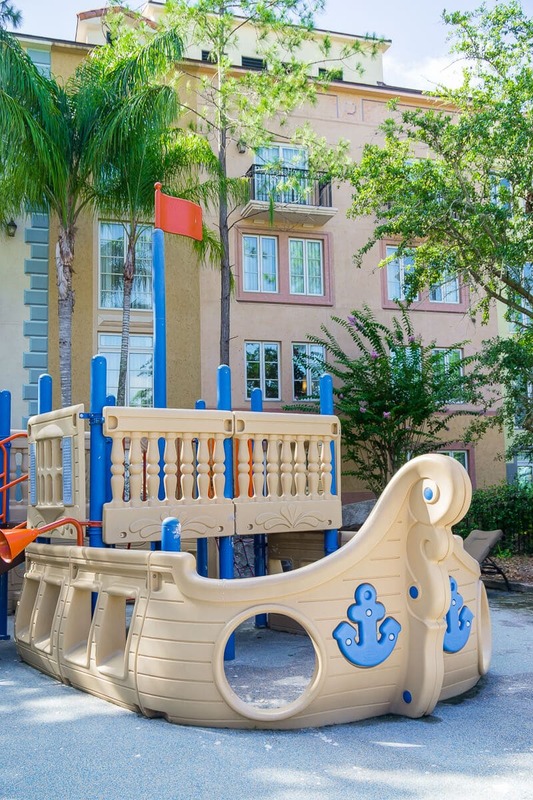 And when we got bored of swimming, we moved over to the great big pirate ship playground and nearby splash area that’s perfect for kids. 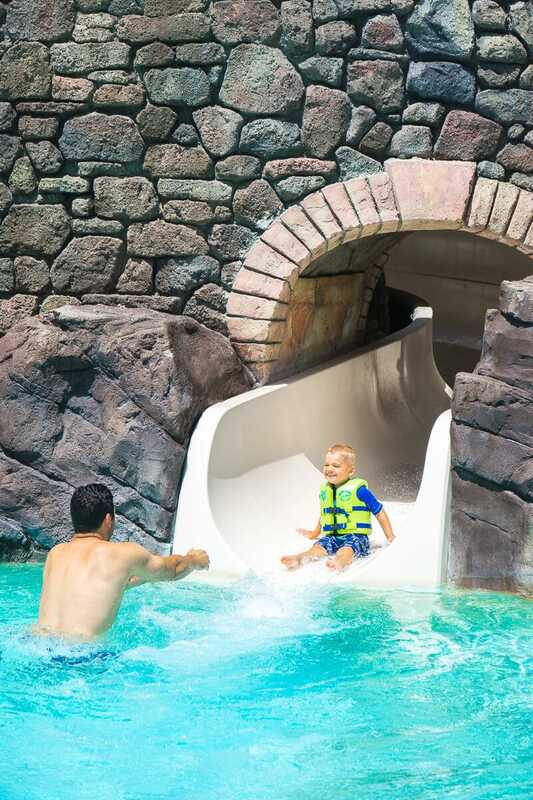 And if you have young kids at Universal Studios like I do, you’ll appreciate that life jackets are provided for free! 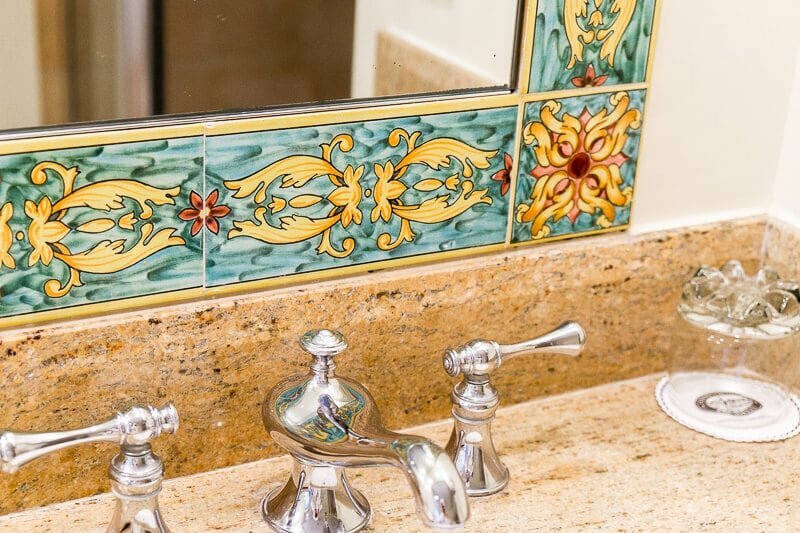 Portofino Bay Hotel has all of the amenities you could ever need right on-site, including the fantastic Mandara Spa. The spa offers all of your typical services such as massages, facials, and nail treatments. And if you book a service at the spa, you also get access to the variety of showers, saunas, and indoor whirlpools available just to spa guests. 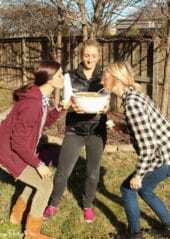 The treatments are a bit pricey so make sure to plan in some time to enjoy the other spa amenities to make the splurge worth it. 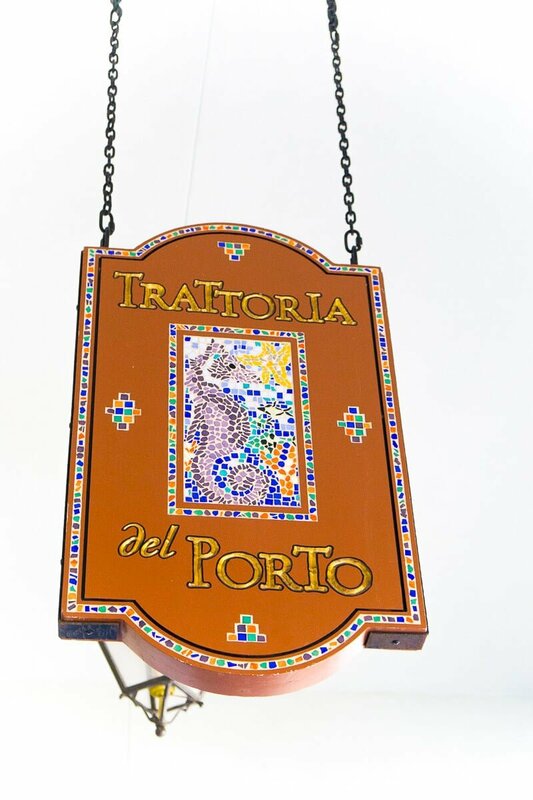 There are continental breakfast buffets and then there is the breakfast buffet at one of the on-site restaurants, Trattoria del Porto. 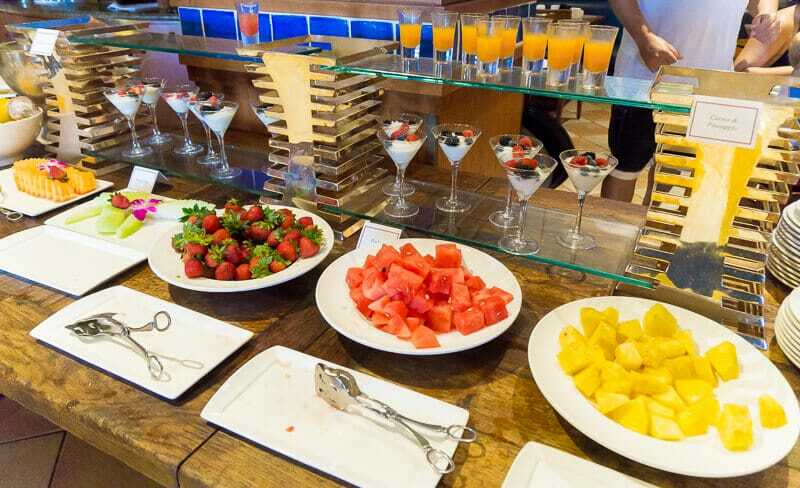 The breakfast buffet is huge, with tons of different options for any tastes. 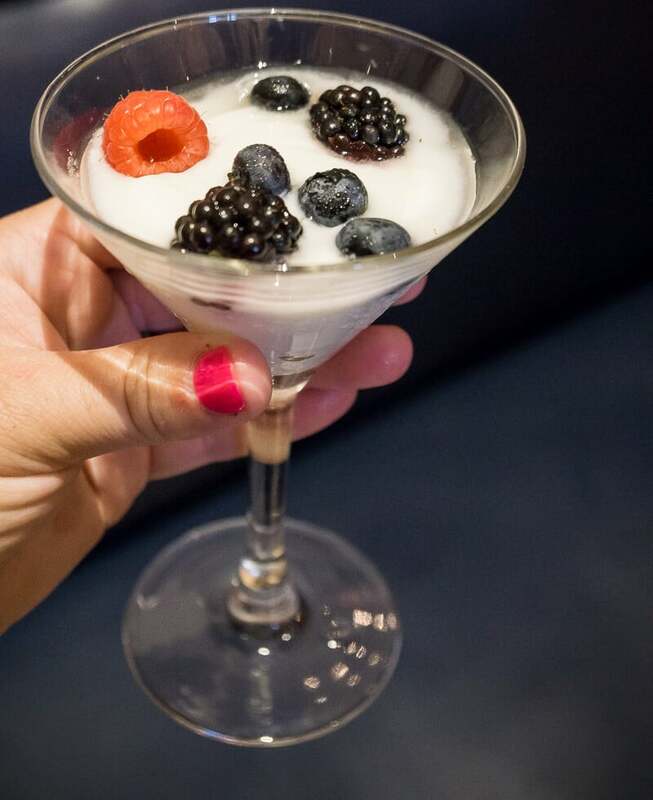 From made to order eggs to fresh fruit parfaits and even a large selection of antipasti options like meats, olives, and veggies – there really is something delicious for everyone. The price of the buffet is not included in your hotel stay but definitely worth the splurge on a lazy morning. 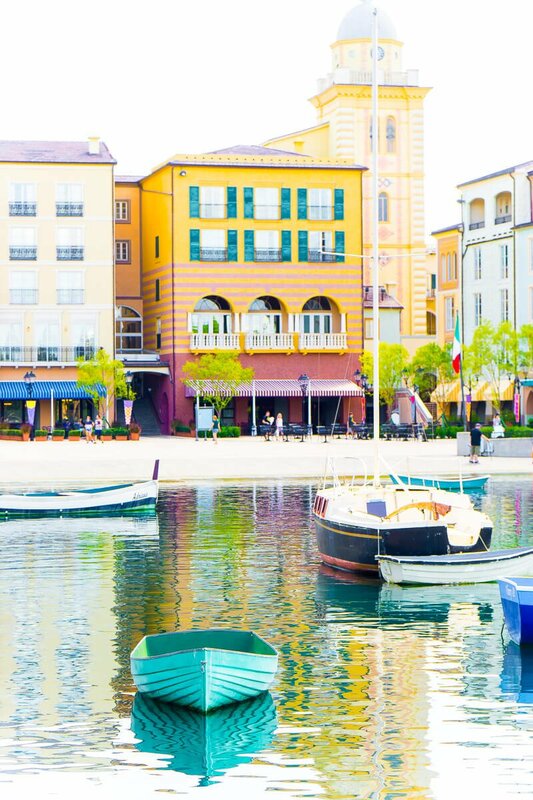 There’s always something going on at Portofino Bay Hotel. 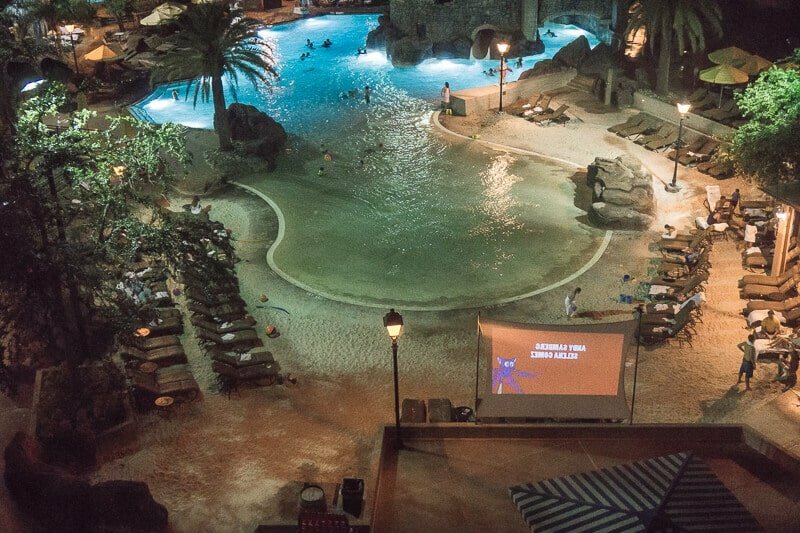 At night, watch a dive-in movie from the pool or dance the night away to live music. Eat breakfast with your favorite Universal Orlando characters. Enjoy complimentary access to various live entertainment options in CityWalk. 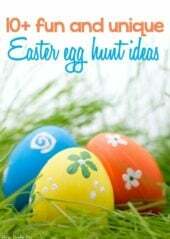 There is always something going on if you need a break from roller coasters and 3D rides. 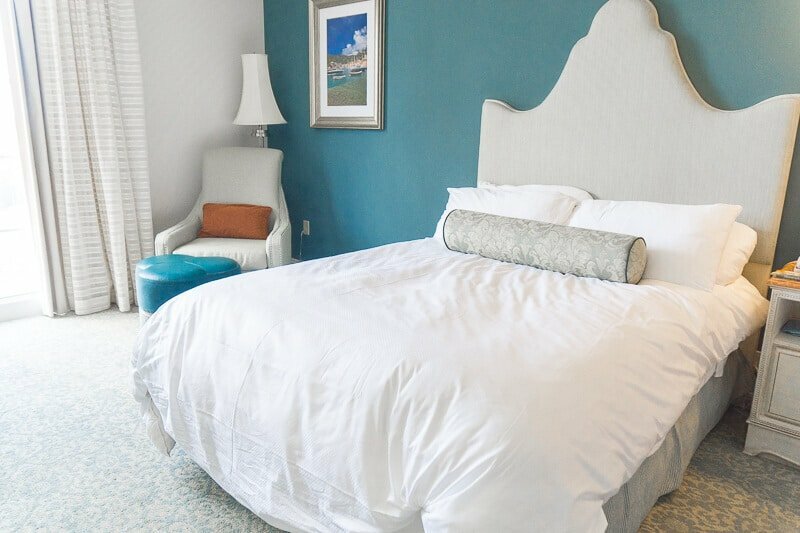 At all three of the deluxe Universal Orlando Hotels – Loews Portofino Bay, Hard Rock Hotel, and Loews Royal Pacific Hotel – you get an unlimited express pass for every single person staying in your room that’s good from the day you check in through the day you check out. If you stay one night from Thursday to Friday, you get unlimited express passes for everyone in your party on Thursday and Friday. It’s a great way to get access to unlimited express passes without having to pay the individual upcharge per person, per day. And I’ve already written an entire post about why I think unlimited express passes are essential. 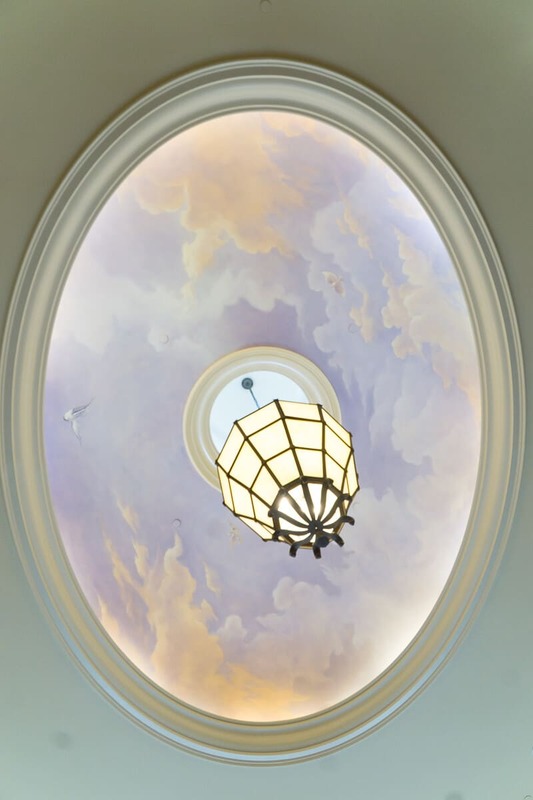 This alone makes the cost of the luxury hotel over one of the more budget-friendly hotels worth it if you’re considering doing an Express pass! Loews Portofino Bay Hotel isn’t the only one of the Universal Orlando hotels with water taxi service, but it’s still a great perk. 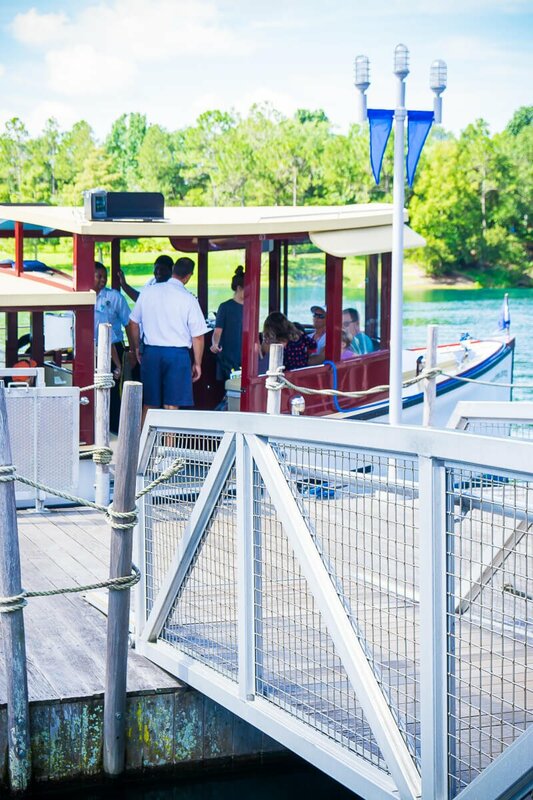 Anyone who is staying on-site can catch a water taxi right on the marina behind the hotel, and the water taxi will take you directly to CityWalk where you can quickly walk to either of the parks. 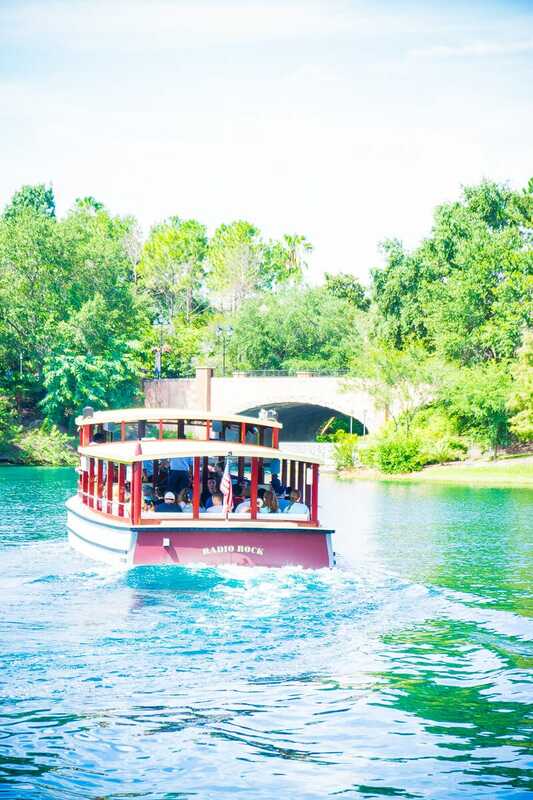 Unlike the water taxi from Sapphire Falls to CityWalk, the ones from Portofino Bay never had to stop for any red lights and seemed to get us where we needed to go quicker. 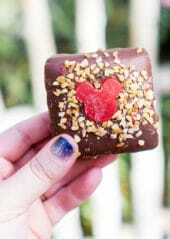 This again isn’t a perk exclusive to Portofino Bay Hotel, but all on-site Universal Orlando Resort hotels. 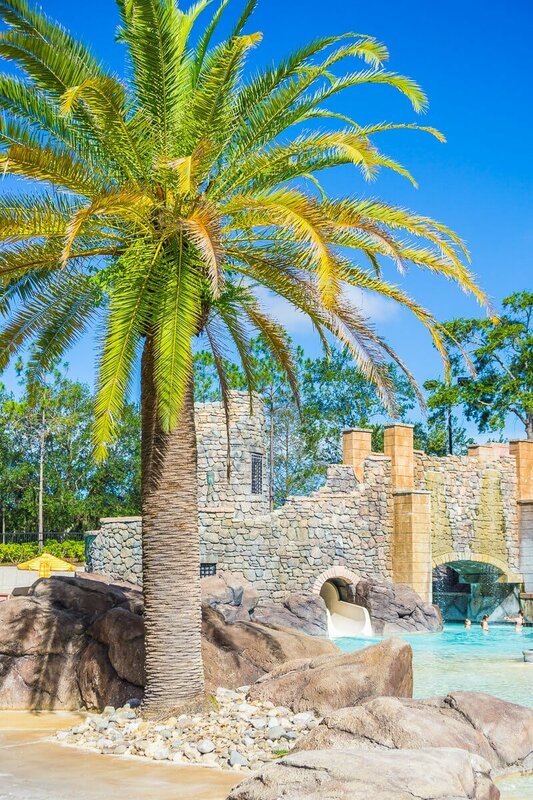 If you stay in an on-site hotel, you will be able to get early access into Volcano Bay (one of the top Volcano Bay tips) and the Wizarding World of Harry Potter in one of the two parks each morning. Check the Universal Studios Orlando website for the most up to date early admission info. With any stay at one of the luxury Universal Orlando hotels, you get priority seating at various restaurants both in the parks and in CityWalk. The priority seating basically allows you to walk up to any of the participating restaurants and jump to the top of the walk-in list, typically cutting your wait time by at least half for walk-ins. I still recommend getting reservations if you really want to eat somewhere but the priority seating definitely helps if you don’t think that far in advance! 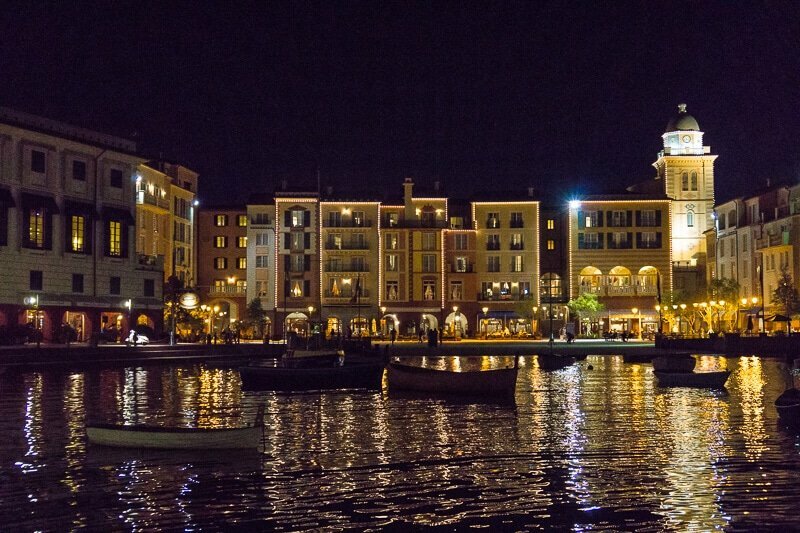 These are just some of the reasons Portofino Bay Hotel is definitely our favorite of the Universal Orlando Hotels. 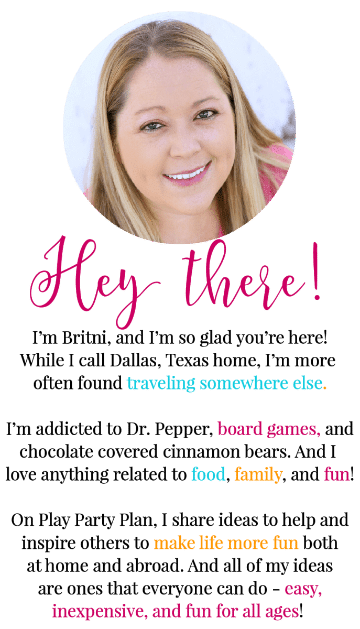 Have questions about the hotel? Leave comments, and I’ll do my best to answer! 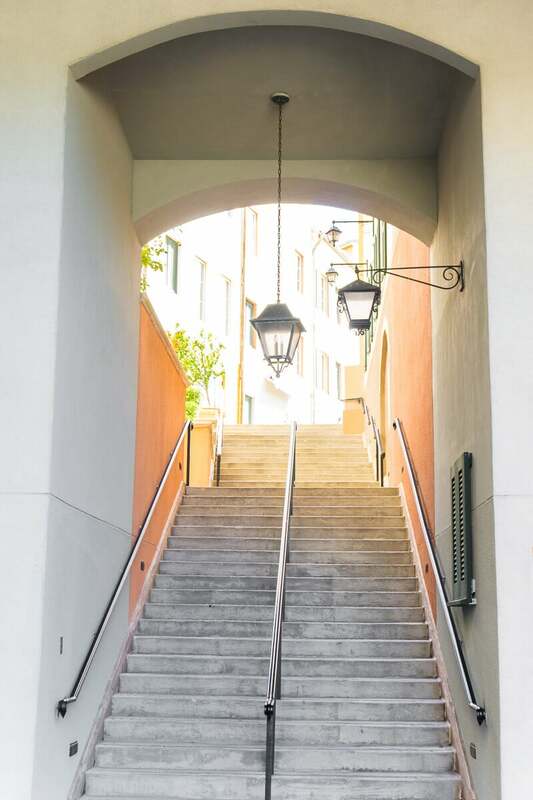 Don’t forget to pin this guide to Loews Portofino Bay Hotel for later.